I don’t really make resolutions and I don’t always have goals but what I do make is lists, and this list is the things I want to make happen in 2019 and focus on. Of course, there is a list of projects a mile long that I want to complete especially some organizing and new features in the house as well as a blog make-over but this list with explanations is more from the heart. “9” of them of course with a Bonus being my WORD of the year. Crazy how that got to be such a thing. I want to be more present, not let things distract me from the little things I love. I know he will say this happens a lot, but what I mean by this is you must nurture your marriage and continue to keep it happy and strong. Sometimes I just wanna walk in a room, and see on his face that I’m taking his breath away. We tend to eat at the same places over and over yet on vacation we make a pact to eat somewhere new and no chain restaurants. I want to continue that the whole year through! Face it, they’re going to be situations we can’t change. Sometimes, the way people feel about us or judge us are not going to change no matter what we do. Let’s not worry about what things we cannot change but rather just continue to keep on being ourselves. I pride myself in complimenting people and mean it from the heart. I know how proud it makes me when someone compliments me on something and I just want others to feel that same way! Let’s face it, everyone needs hugs! I’m not going to go crazy and say I want to lose X number of pounds or list out my fitness goals. I just simply want to work a little harder whether that means an extra lap or a few more crutches or those extra minutes on the stepper, just push myself a little bit. Ok, let’s get real about a couple things. One, I absolutely ate too much sugar over the holidays. Two, sugar is terrible for you and should definitely be eaten in moderation, if at all. Three, lets’ be realistic, I cannot completely cut sugar out of my diet and if I want to have a sweet treat, I will have a sweet treat just not 10 sweet treats. However, I will use my willpower not to over indulge because I want my body to feel good with the things I’m putting into it. 9. Be Genuine in all I say and do. I don’t want to say I like something if I truly don’t. I like to interact and comment with a lot of people. I thrive on it. But I’m not gonna lie to people, I’m not gonna make a comment about something I love if I don’t really love it. But with every human being, we can find something nice to say, we just have to be genuine and from the heart. BONUS: My word of the year.....ready for it? I want to be intentional in all I do and not settle for anything. When I’m in the moment, I want to be intentionally in the moment and not let distractions take me away from the joys of life! I want to be intentional when I make plans for things, only say yes to things that make me happy. I want to be intentional in the food I buy and prepare healthier meals for my family with less fats & sugar. I want to be intentional about the things I put into my body and how I exercise to make me feel at my best. 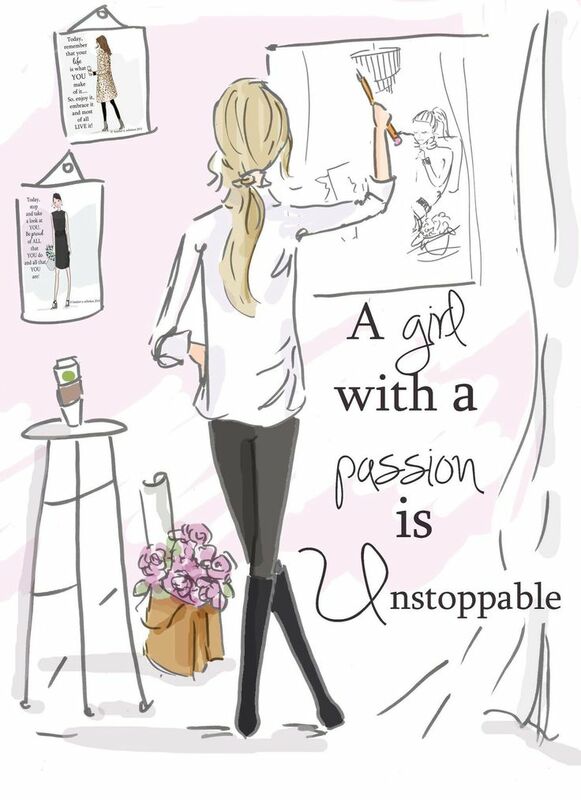 No aimless living life, but intentional each and every day with gusto! AND I want to be intentional my purchases, clothing, home and for my family. If I don't love it or the price....it's a definite no go! But this new top ($15.99) I had to share, It is another Amazon goodie and can be dressed up or down. One thing I know I love in clothing is details and the details on this top are precious! And of course I am wearing the heck out of the tulip hem jeans. AND last but not least, I want to continue to support my Sisters in Blogging. So today won't you please hop over and check out some other ladies sharing their WORD of 2019! My precious Laura shared her word of the Year HERE! Chrissy from Granola snd Grace has a great post today incorporating her WORD. Sweet Kellyann shared hers quote "gracefully." And Heather from My Glittery Heart had a great word HERE! Our amazing Shelly is #Shelabrating her awesome word HERE! And from the ever hilarious Katie...Her Word and take on it cannot be beat! I need that top for work! This will be a good year for you. And I'm pretty certain you take Jay's breath daily . I love your list and word. I want to work on those as well!! That's a beautiful pink blouse. I love the embellishments on the sleeves. How fun! I also love your word and list. I never used to be a big fan of sugar but these days I love it! Trying to cut back my intake as well and eating more of healthy snacks. I hope you had a great weekend and happy Monday Andrea! You have fabulous plans for 2019, love them all, but I have a feeling you take Mr. Nine's breath away daily! That blouse is so pretty on you my friend. Have a marvelous Monday! I feel like I need to be more "intentional" too this year! I LOVE all of your goals--I too need to cut back on the sugar haha! Happy Monday!! You are always so sweet and kind! I love all of your goals, especially being intentional and not dwelling on things we cannot change! Great goals! Im with you on number 2. I always make sure my husband comes first in needs. I know he adores me. We always make a point to lift each other up and always complementing each other. The “you take my breath away look?” Yea, I wanna see that too. Pretty in Pink! 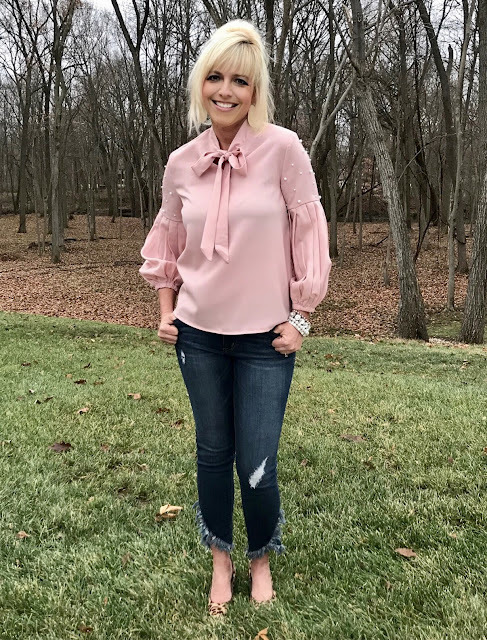 I'm going to check out that top because it would be perfect for the office this Spring! And I love you, too, Friend! INTENTIONAL! I can't think of a better word or better goals for you for 2019! You're going to knock it dead! LOVING your goals, Andrea -- along with your word. Such a good choice! And your top...so pretty! I absolutely love your list & your word! Happy Monday! Andrea... I hate to brag but I know how to take my man's breath away. Walking in the door loaded down with shopping bags. He gets misty-eyed and loses all color in his face. Great goals. Enjoy your week, Andrea and if you need any more advice just let me know. Andrea, these are all wonderful goals. I found myself nodding along to them, wanting them for my life too. My big focus this year is to be more present in the moment as well, and I thought about choosing a word for my year and "intentional" is what came to my mind. I can't wait to see how your year goes as you focus on these things. Happy Monday! Oh these are fantastic goals. My word this year is trust...trust that everything will work out. This year has already been a little rocky but I'm keeping my head up and doing the best I can. Love your pink top, so pretty on you. Great goals- I need to sit down and actually make some. Or not. Whatevs. This was a fantastic post! I love the intention behind each and every one of the items on your list. I hear you on sugar. That was something I worked on improving in 2017 and it was HARD. I have such a sweet tooth. I can't say I have seen any dramatic results from cutting back but I do feel better about myself and what I'm putting into my body. Your fitness goals is perfect too! Thanks for the motivation and inspiration today! You have some great goals this year. I think I finally chose my word - confidence! Love everything about this post- inspired by your goals - intentional is such a great word for the year! I love the taking your husbands breath away goal. Im only newly married but I hope 15 years from now we still watch each other and say "Im blessed". Also intentional is a GREAT word! Such great goals! Happy 2019! I love all of your goals. I love the hugging goal, and the marriage goal. Your word is great and I like that all of your goals line up with that word. Happy 2019 to you mama! I'm coming off the holidays on sugar overload as well! This is a good time to make a fresh start of it! These are really wonderful goals to be shared. Thanks for your words and ideas. it"s helpful. You are a bright light in the blogging world, Andrea!! It's so nice to read your posts because they are always positive and uplifting. My word for the year is Spontaneous only because that's totally out of my comfort zone. I'm going to try though!! This is the best list of goals I think that I have ever seen. They are so thoughtful and meaningful and I truly want to try to do them all myself. What a great list to start a Monday on! What a great post! I love your lists and word of the year. I agree about the restaurant thing. I want us to try new things a lot this year. Have a great week! These are some great goals and I love the pink blouse! Love hearing these goals! I am with you on eating less sugar and trying to be less distracted about the things that don't matter. You and your husband seem to have such a sweet relationship. Such a cute blouse! Oh, girl, I live my days by lists, cannot do life without a list. Love the word intentional, it was word a couple of years ago. Always brings a smile when I drop by. #2 is perhaps my favorite thing that I've seen on anybody's lists YET! I love this so much! And #9 is SO YOU already. I don't even think that you need to try any harder at this because you always come across as genuine and that's why I love you so much! Taking your husband's breath away. I LOVE that. And trying new restaurants. I LOVE your goal list for the year! This is such a great list for the New Year. I always love how genuine you are, and you always put a smile on my face when I get a little comment from you! Love this whole list but especially #2! Dustin and I talked last night about our commitment to working on our marriage to always make it #1...especially after baby comes because we know it'll be more important than ever!! I admire your strong marriage and hope ours is just like y'all's after we have grown kids! Have a wonderful Monday! I know I can speak for all the other bloggers and say that your compliments and sweet comments make my day! Intentional is such a great word for all aspects of life, and I also want to focus on my marriage more this year. My word was SAVOR. Hope you have a great week. That top is SO CUTE! I bet you took your husband's breath away the day you wore it. 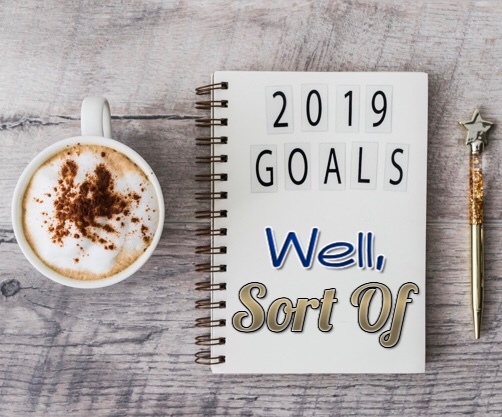 :) You definitely have a great list going for 2019! Hope it's the best year yet! Always pretty in pink! I know 100% what you mean by wanting to take the hubby's breath away. I seriously love nothing more than to see Keith smile at me when I walk into the room and love when I catch him watching me when I'm not expecting it. Being intentional really does cultivate so much goodness. I LOVE this one - Not to dwell on things we simply cannot change. 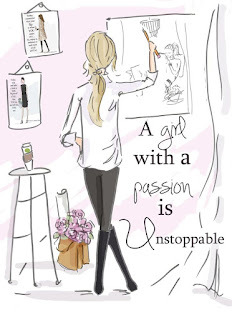 And also love your workout goal and how attainable/realistic it is!! That's a great word and great "goals"!.. We try to find new restaurants on vacation too but tend to stick those chains or known restaurants when close to home. I think it's part of the comfort of the whole thing. Oh, sweet friend!!! I was nodding my head throughout this entire post and then when I got to your word of the year I literally could not agree more as that is the EXACT word I chose for myself!! I chose it last week and just spent this afternoon writing in my journal in more depth about the areas I aim to live more intentionally! I'm blown away and overjoyed to have such a likeminded, friend! Leaving this post with a happy tears in my eyes and a light heart!!! Oh so thankful to count you a friend!! Wishing I could pop through my computer and give you a big hug!!! :D xoxo! OK - the taking your husbands breath away just made me swoon. How precious is that? & something we take for granted in marriage, isn't it? & I have NO DOUBT you take his breath away every single day!!!! I've had to cut way back on sugar due to some health concerns, and it hasn't been as hard as I thought it would. I definitely have a sweet tooth, but there are so many great low sugar options out there these days that I hardly notice! Great goals! I am joining you in a lot of them! Love this! Several of mine are quite similar! Thank you for sharing your heart in this post! I feel like I should print this and follow along with your goals for 2019, they are all so spot on for my life too. I just discovered your blog and I can already tell that it's going to be a new favorite. Also, LOVE Amazon, I can't believe all the adorable clothes available now, thanks for the cute top alert! Love your list! You are the sweetest and I hope that 2019 is your best year yet! I really really love this. I love the meaning behind it and the gracious soul you are. You are such a bright light in my life and I know many others, so you are ALREADY hitting those goals. Love you beautiful! These are wonderful goals for the year! It's so much fun complimenting strangers. I know when I get similar compliments it makes my day! It's fun to find new restaurants too. My husband and I are trying a new one for each date night! We've only been to 2 so far, so we have a long way to go. Next date night we are going to try a Thai or Indian restaurant (we love ethnic cuisine). I love your word! I always try to be mindful and I think that is kind of the same, such a good word to focus on. I love your goal to take your husband's breath away. I try to do that every now and then and it makes both of of you and your relationship happier, win win! You continue spreading that love and joy every day, it is such a ray of sunshine and so happy to have that in my life! I think these are all great things to keep in mind for the year, and I like your word as well. I definitely want to work out more and eat healthier. To lose some more weight yes, but also just to FEEL better. Love that word you chose! I think it is so important to be aware ane be mindful. I am with you as I like to comment and what I say comes from the heart as well. 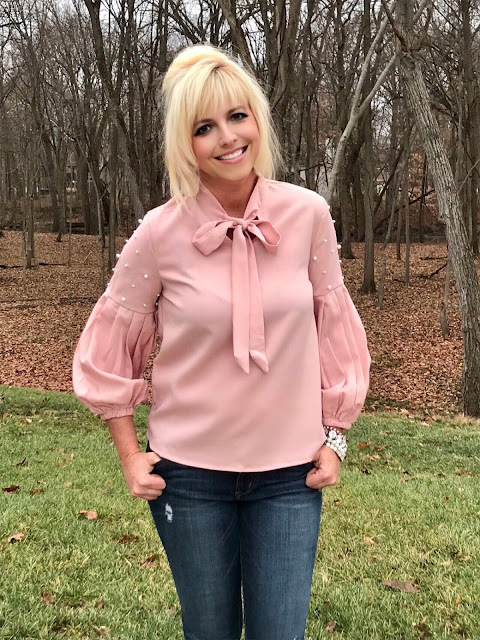 You look precious in your pink and pearls blouse! I read your goals and you said, You want to take your hubby's breath away- and I half-joked as I told my hubby, "you don't even look up! when I come in the room! So I know what you mean. :-) Have a great week! I just love everything about this post, Andrea! And I know that you will keep up with everything you've listed because you're just that kinda gal. One of the may reason I <3 you!! These are some great ideas and I love your goals and can relate to many of them. Thanks for linking up with us at #OMHGWW! You are always the sweetest with your compliments and sincere support plus I bet you give the best hugs! No doubt in my mind that you take your husband's breath away every day of life. He's a lucky man! Love your outfit! Such a pretty top with the pearl beading and the price is amazing. I might just have to copy you! This is a great list dear, and I love them all, especially number 6! Hugs from NY!